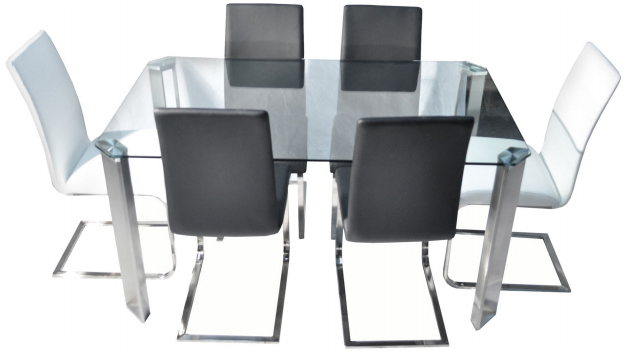 The new Angela dining table is a modern and fresh look at contemporary dining. With a classy stable brushed aluminum leg, and a 12mm tempered glass top the Angela is light-years ahead of its competition. 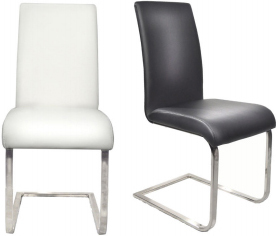 The Bale dining chairs are a great match, comfortable, springy and supportive, and with the choice of black and white color, Angela and Bale are a great match in your dining room. 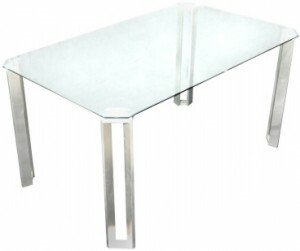 Material: (Table) Glass, Milled Aluminum Legs (Chair) PU cover, foam and brushed chrome leg.